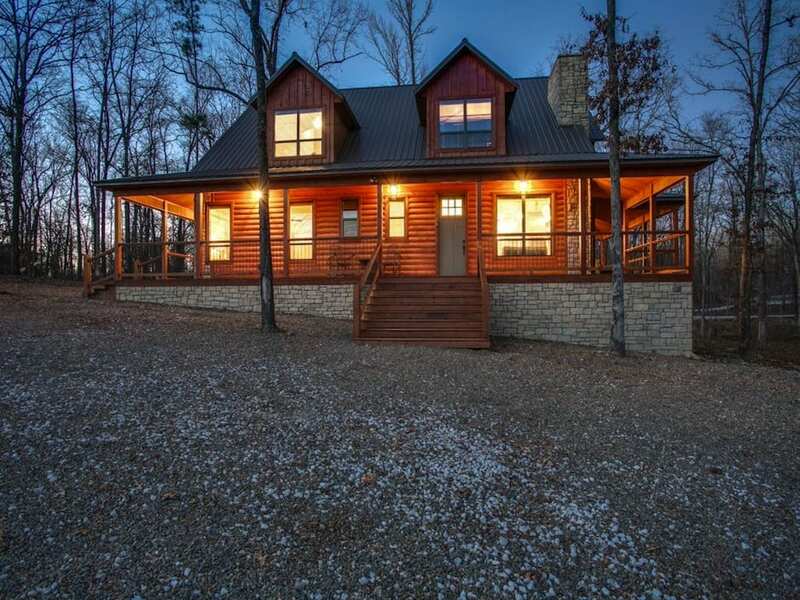 Located in Oak Ridge Estates off North Hwy. 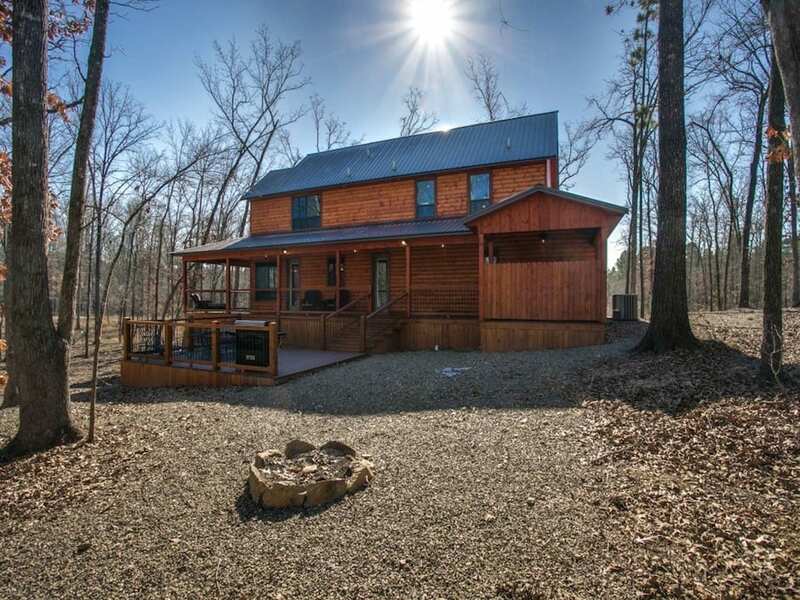 259A Dam Rd. 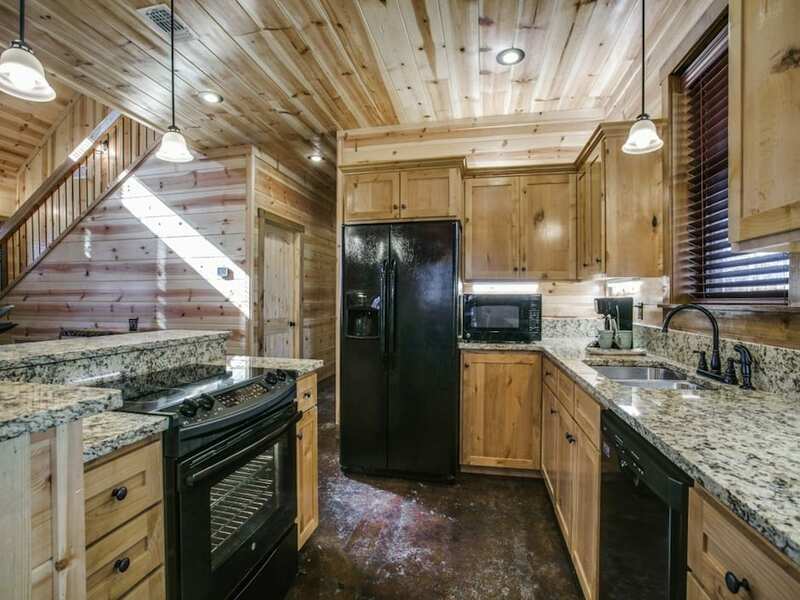 Full Kitchen includes: Refrigerator, oven/range, microwave, coffee maker, toaster, blender & dishwasher. All cookware, dishes, silverware, glassware provided, Including paper towels, dish cloths/towels . All bed linen & bathroom towels are provided. Pets Allowed, limited to 15 lbs and under. 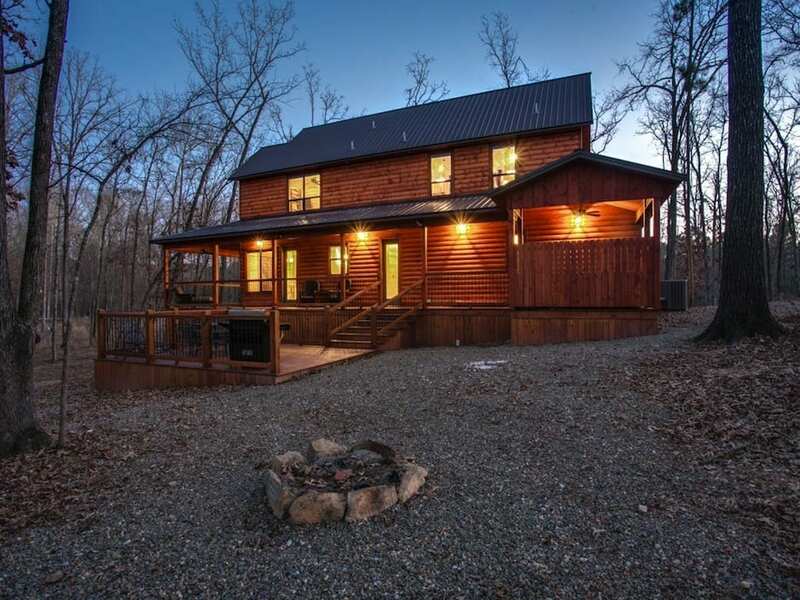 Enter into this charming cabin and immediately feel relaxed with the open living room and kitchen floor plan. 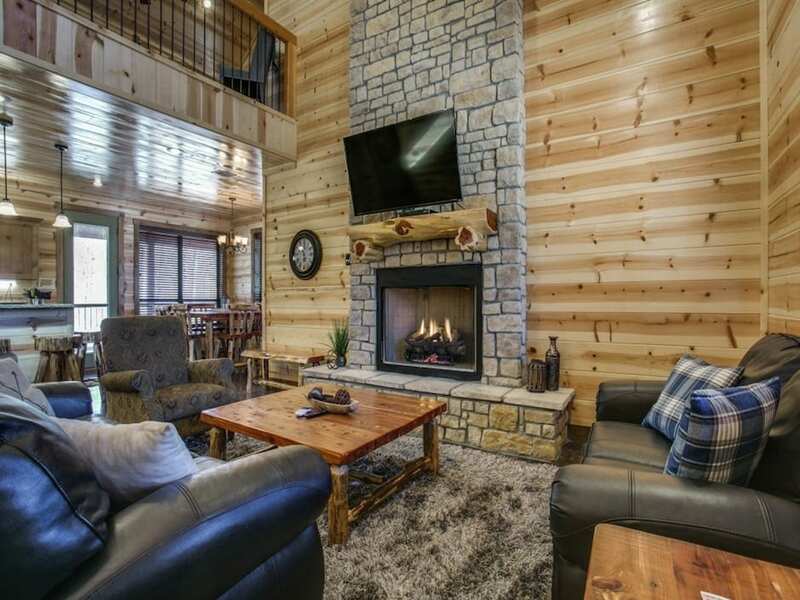 The living room has comfortable seating in front of a gas burning fireplace and natural rock hearth. A 55” HDTV sits above the mantel where you can view your favorite shows through Direct TV package (PPV not available) and DVD player. 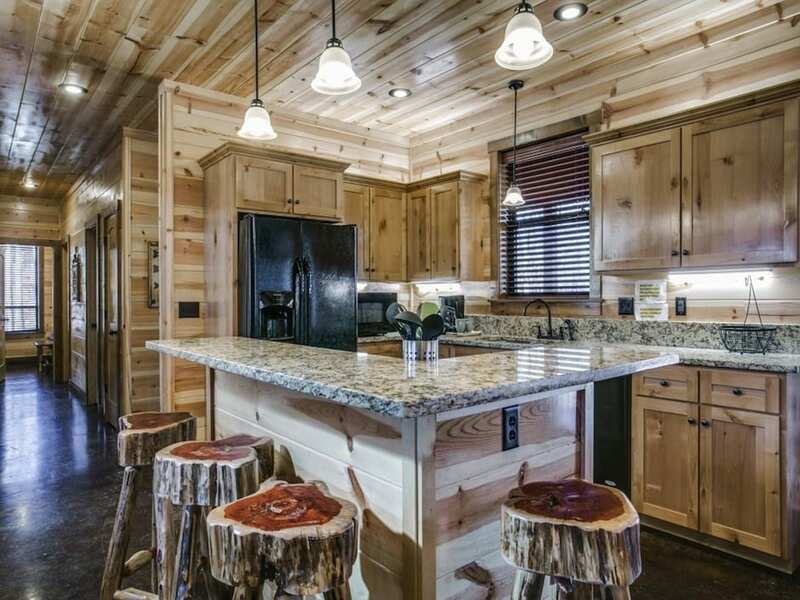 The kitchen provides stainless appliances including a glass top range/oven in the island, a side-by- side refrigerator and microwave. 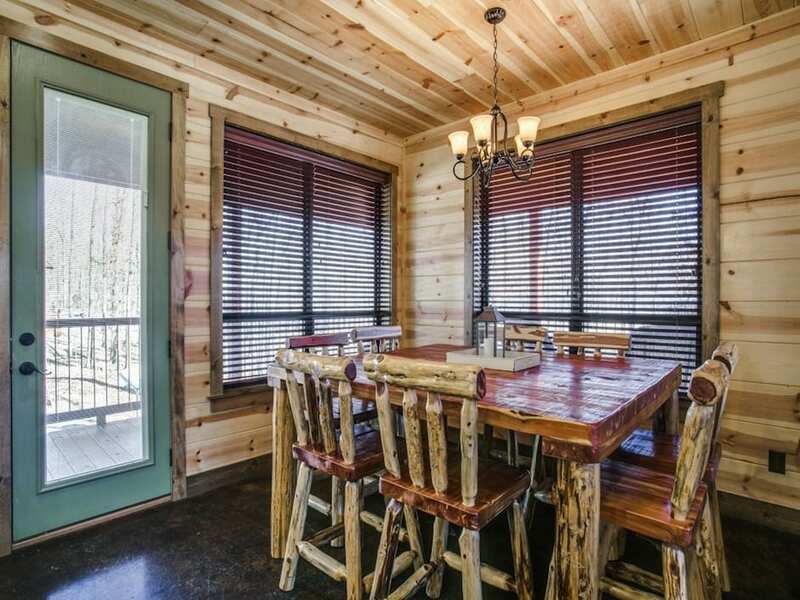 A handcrafted log dining table with matching chairs sits in the corner nook surrounded with windows providing seating for eight. 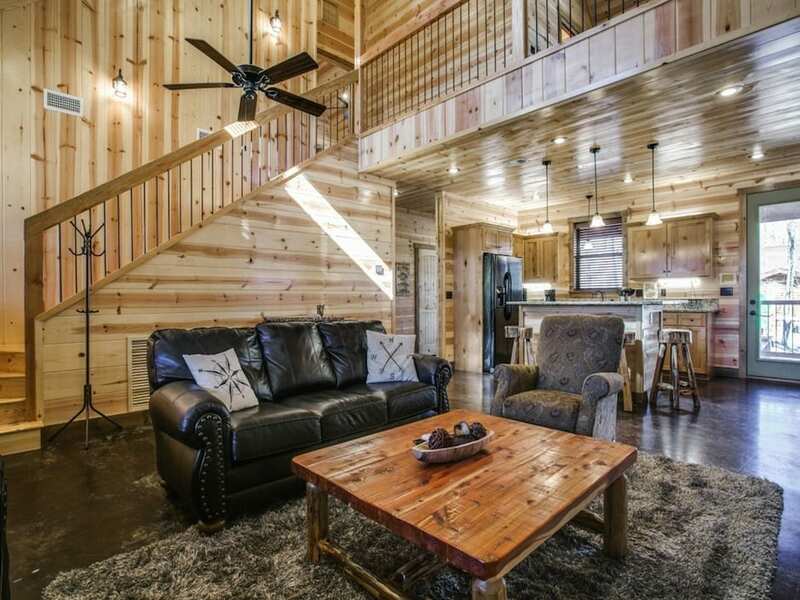 Additional seating is provided at the island with hand crafted log stools. Travel down the hallway to the bedrooms. 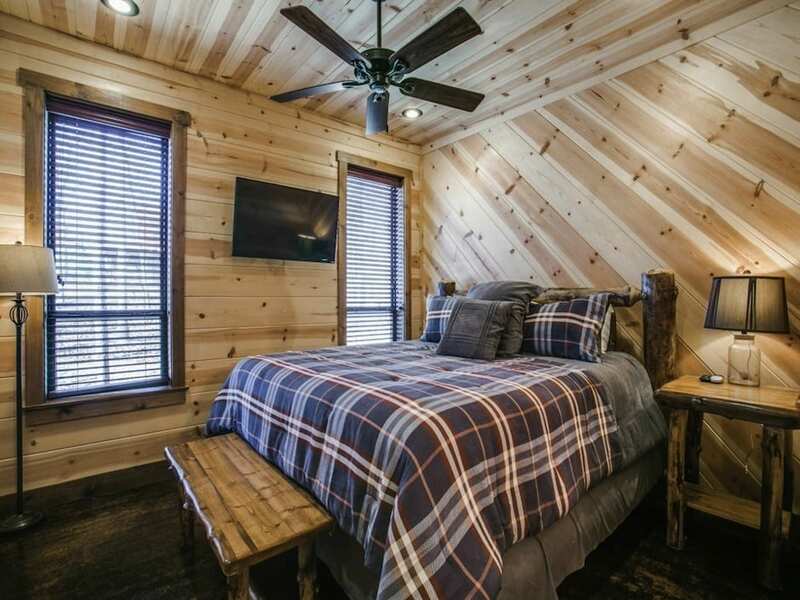 To the left is a master suite with a king size handcrafted log bed wrapped in luxury linens. Above a chest of drawers is mounted a HDTV with Direct TV package. 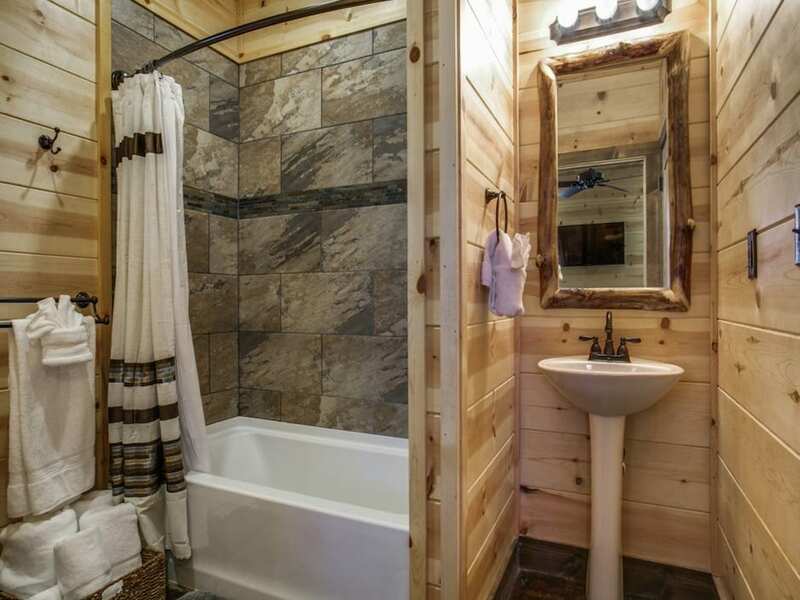 The attached bathroom has his and her vanities, a tile shower and separate soaking tub. 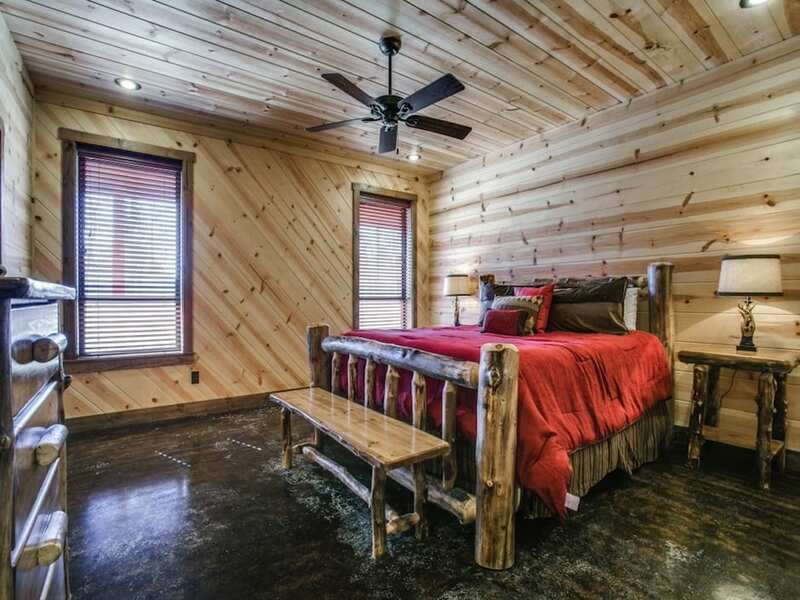 At the end of the hall is a second bedroom with king size handcrafted log bed wrapped in luxury linens. A HDTV is mounted on the wall with Direct TV package. 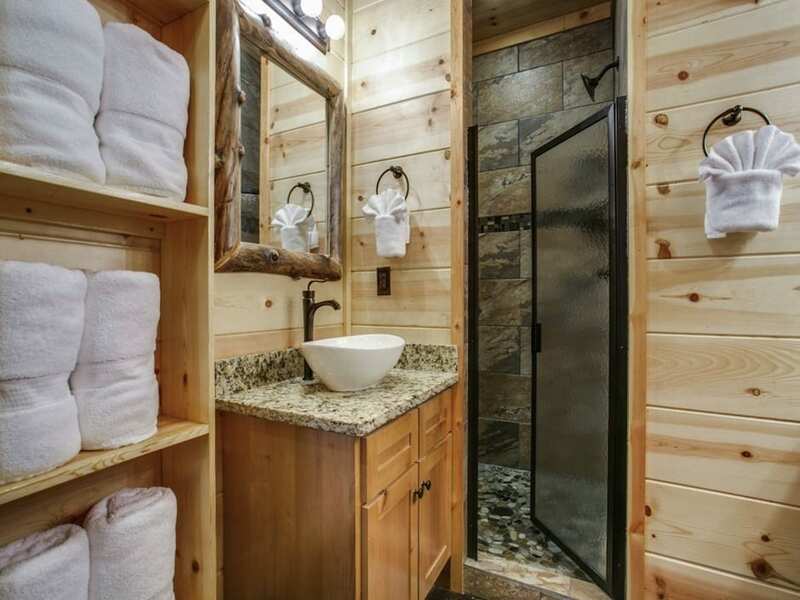 The attached bathroom has a shower/tub combo. This bath has door access to the hall as well. 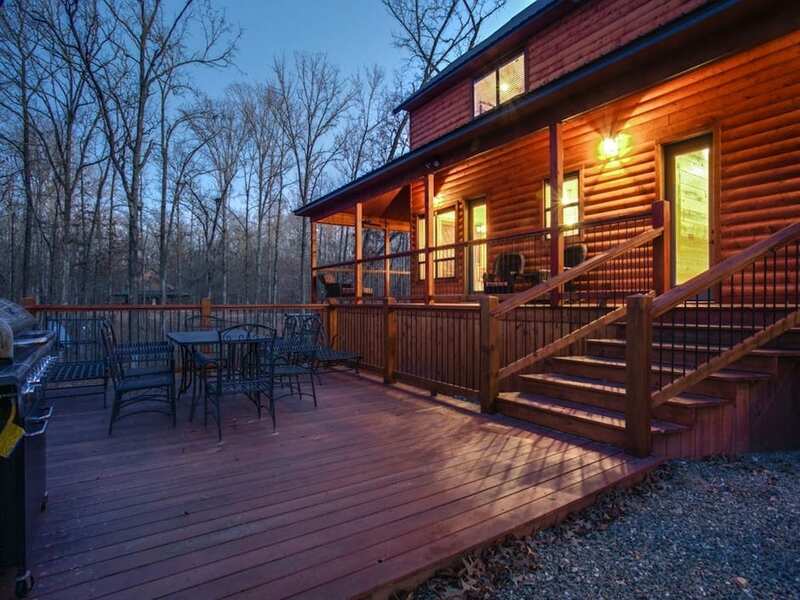 A full size washer and dryer are tucked into a closet off the hallway for guest convenience. 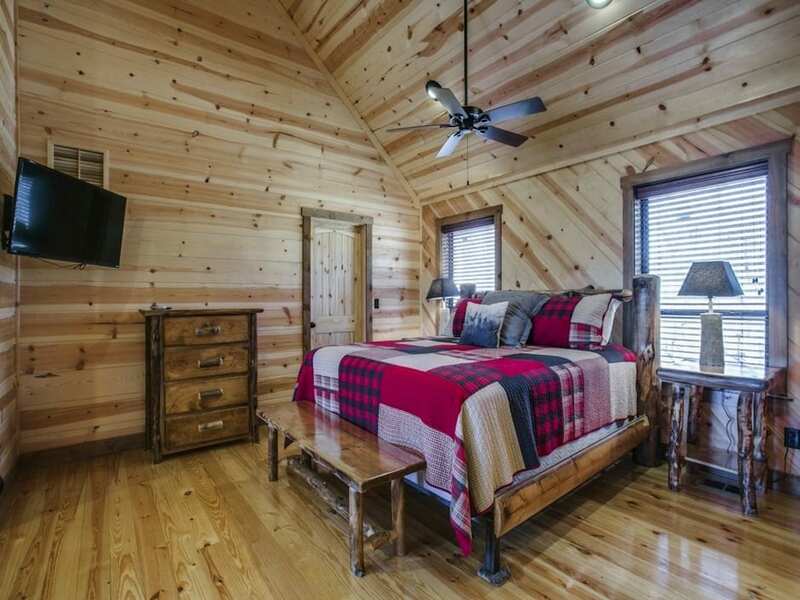 Upstairs off of the loft area, find a master suite with handcrafted king size log bed. A HDTV with Direct TV is mounted to the wall for late night viewing. 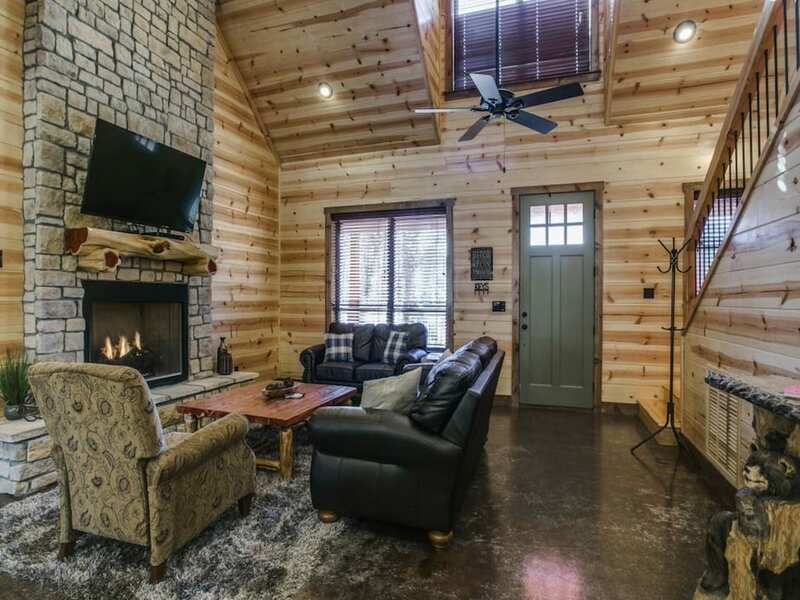 There is a handcrafted log Daybed for added guest tucked into a spacious alcove nook. The nook also accommodates a writing desk for guest who might need a quiet place to catch up on work away from the office. 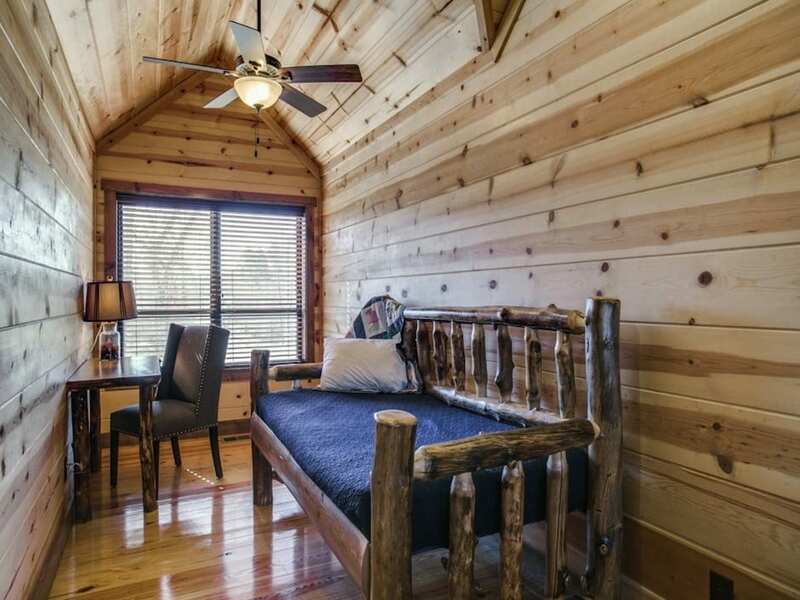 The loft area has a handcrafted log twin/full bunk style bed with full size trundle. 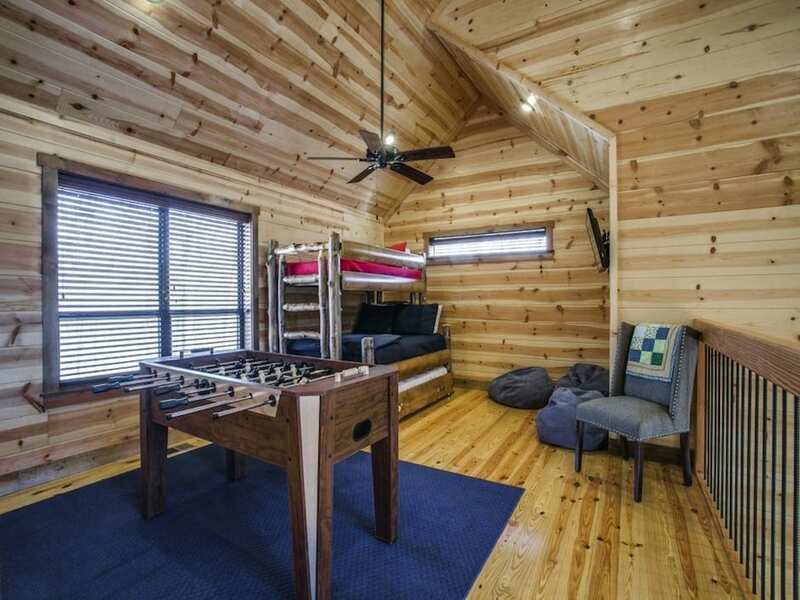 There is HDTV with Direct TV and a foosball table for hours of entertainment. 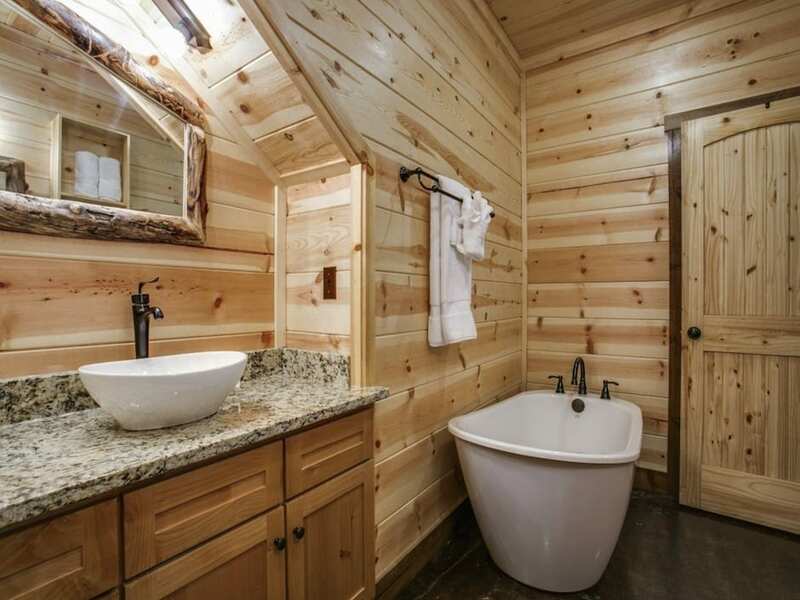 The bathroom upstairs has “Jack and Jill” style toilet areas for the bedroom and loft with a common shower tub combo in between. 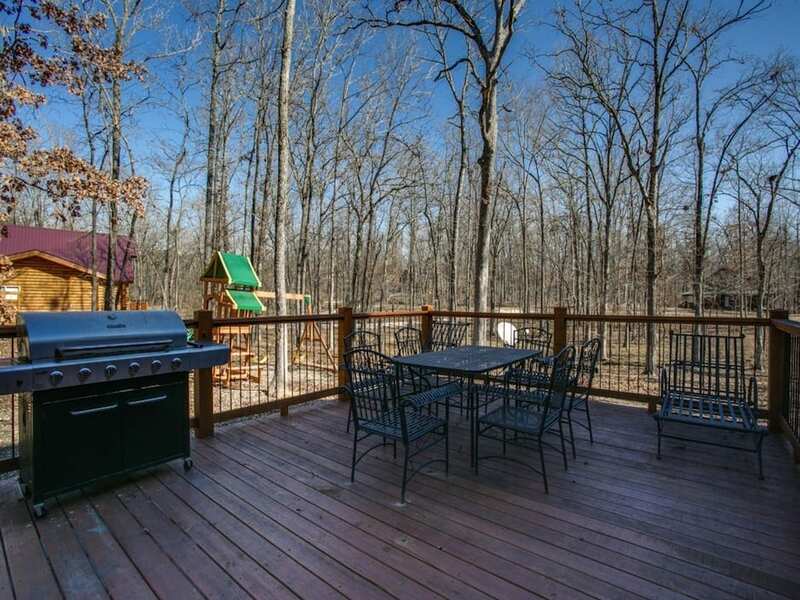 Outside you will find wonderful custom iron furniture on the porches and deck area. A dining table for 6 allows for enjoyment of meals outdoors. The large grill uses charcoal so be sure to pack that item with your provisions. 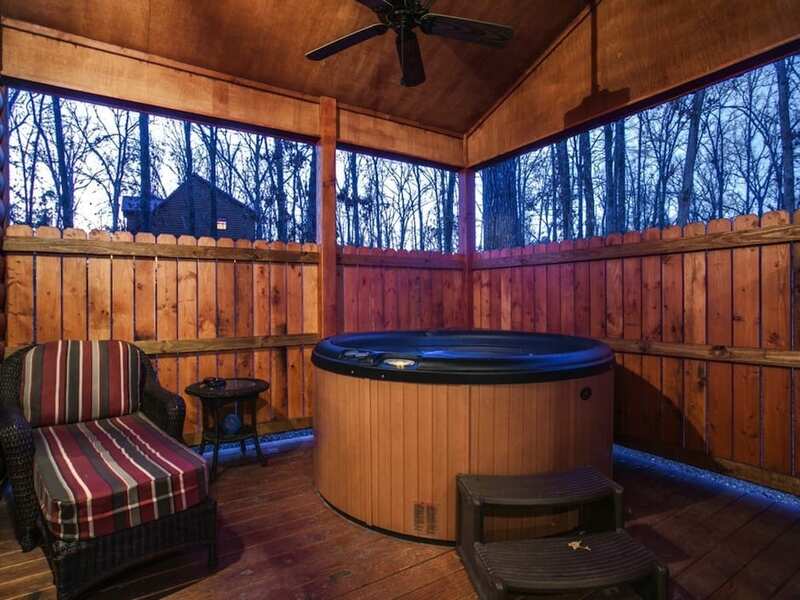 A 4-5 person hot tub sits in the privacy fenced corner of the deck. 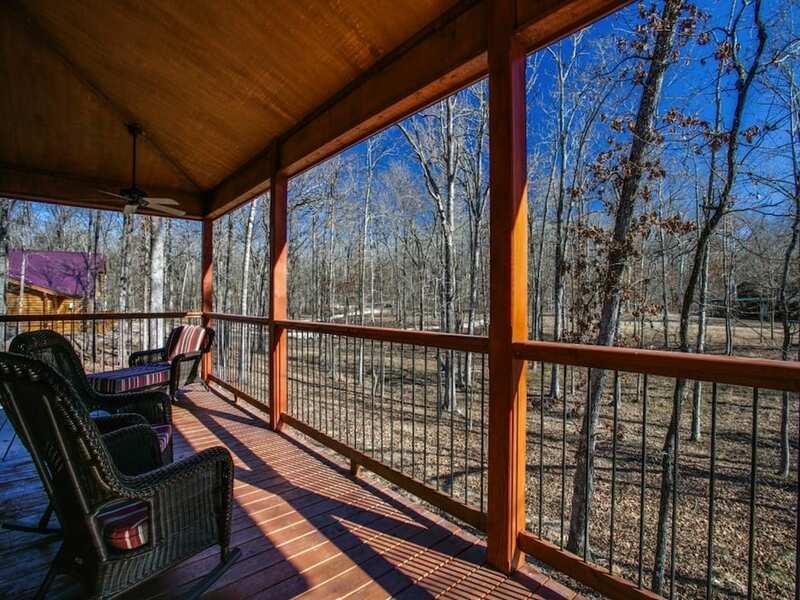 Coyote Creek Lodge sits on a large wooded lot that offers plenty of space for guest and pets to run and explore. 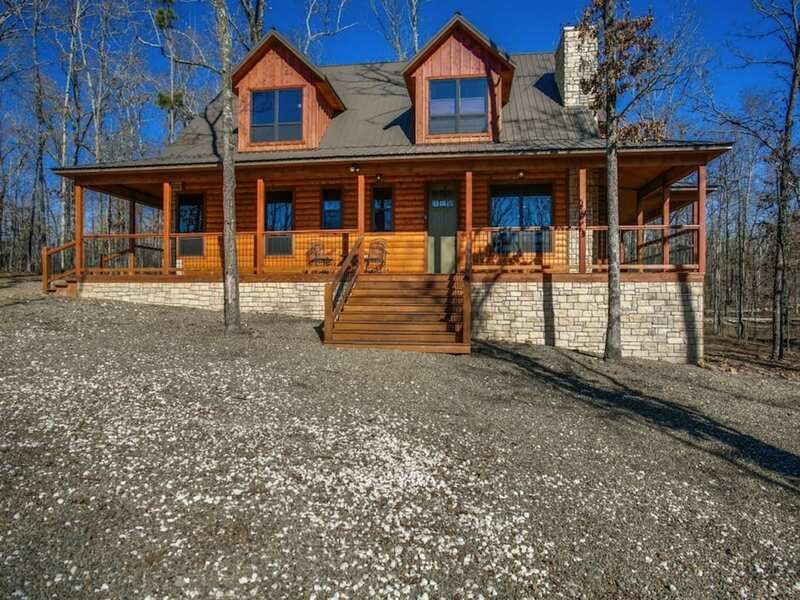 The Oak Ridge Estates development is off of North Hwy.259A Dam road which is just a few miles from the Hochatown local restaurants and Broken Bow Lake Marina entrance.